Who doesn't love a black shoe? They're reliable, go with everything, and of course, black. I am not ashamed to admit that I actually got 4 pairs of shoes for Christmas, 3 of which are black. Over the past year or so I've opted for more of a colourful shoe to spice up my collection, however Christmas has rekindled my love for trusty black. Topshop is one of my favourite brands for shoes, (despite the occasional hefty price tag) not one pair has failed me yet. So this is just a quick post to assure you guys I'm still alive, and I'll be back posting regular outfit posts again soon once the nightmare that is A-Levels is over! My shoe collection looks so similar to yours! 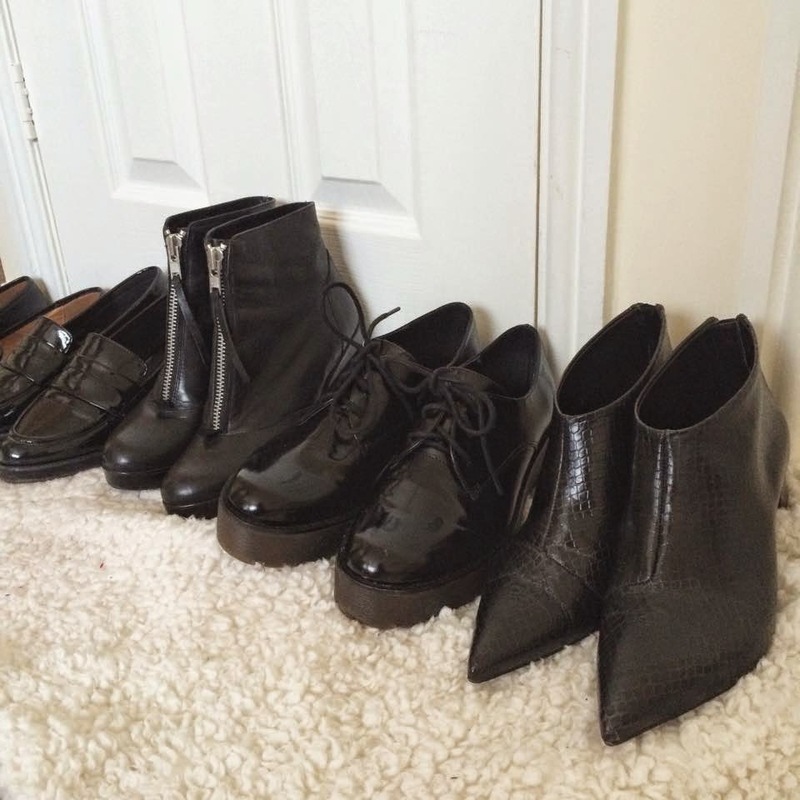 You can never have too many black shoes!